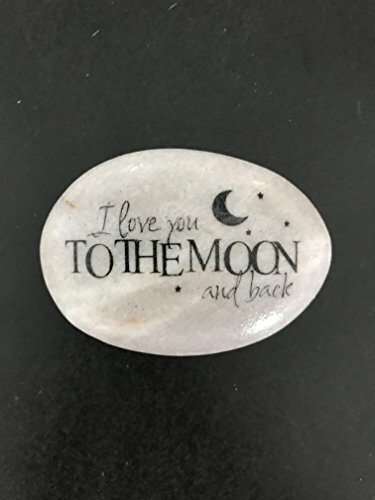 I love you to the moon and back" stone makes a great gift. This stone is approximately 2-3" wide. The stones are natural so some imperfections are what make these perfect! About my image stones: These words /images have been printed and then transferred to the stones using a process that I have created. I then use a top coat protectant for a long lasting image. Happy shopping.....Rock someone's world! If you have any questions about this product by Florida-Funshine, contact us by completing and submitting the form below. If you are looking for a specif part number, please include it with your message.